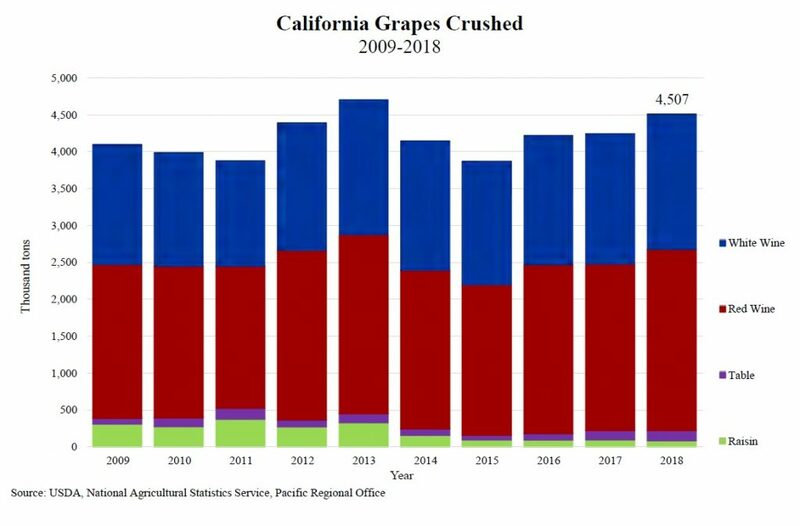 The California Department of Food and Agriculture’s (CDFA) Final Grape Crush Report for 2018 demonstrated the largest total tonnage since 2013. The report compiled by CDFA and USDA’s National Agricultural Statistics Service (NASS) showed that the 2018 crush totaled more than 4.5 million tons, an increase of just over six percent from 2017. 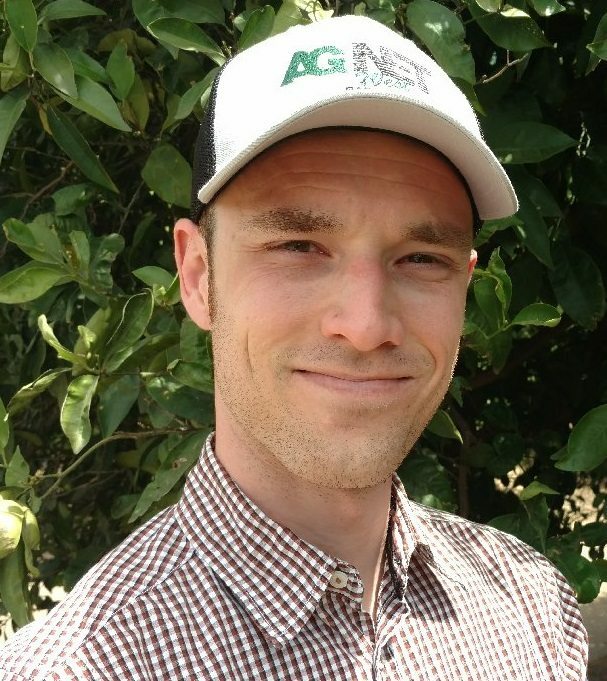 The data takes into account all the grape tonnage that was crushed during the 2018 season accounting for the second largest year in nearly a decade. Red wine varieties made up the lion’s share of the overall amount of grapes crushed with nearly 2.5 million tons, an increase of almost nine percent from the previous year. There were just over 1.8 tons of white wine grapes crushed, up close to four percent over 2017. Raisin type varieties decreased more than 12 percent in tonnage crushed with little more than 82,000. Table type grape varieties increased eight percent in tons crushed compared to 2017, totaling more than 142,000 tons. The average price across all 17 grape growing districts also increased by nearly seven percent to $831.63 per ton. Chardonnay was once again the largest percentage of the overall tonnage volume, accounting for nearly 16 percent of the total. District 13, which includes Fresno, Madera, Alpine, Mono, Into Counties, as well as Kings and Tulare Counties north of Nevada Avenue, contributed the largest volume to the overall total with more than 1.3 million tons. Napa County, or District 4, produced the most valuable grapes in the report with an average value of close to $5,600 per ton. Back in February USDA announced that the Final Grape Crush Report would be rescheduled because of the lapse in federal funding caused by the government shutdown. NASS was unable to collect any information during the lapse. The April 10 report, available through the NASS website, will be the only crush report made available for the 2018 crop.